Visions of Waco and Ruby Ridge are rampant with the current standoff. SuperStation 95, New York is reporting that The National Guard has been activated by the Oregon Governor Kate Brown regarding the militia seizure of The Wildlife Refuge outside of Burns, Oregon, currently held by Ammon Bundy and his supporters. The intention is to confront the militiamen at night. 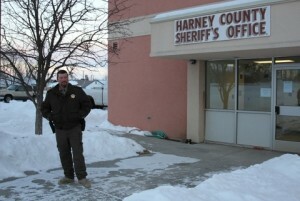 After a peaceful parade and rally in Burns, Oregon on behalf of the Hammond Family, several armed militia drove to the Malheur National Wildlife refuge headquarters and seized control. There are varying reports of their numbers, ranging from 15 to 150, and they are reported to have a stockpile of supplies that could last them years. Dwight Hammond Jr. and Steven Hammond, who are to report to Federal Prison on Monday, January 4, 2016, have repeatedly asked for no militia or armed supporters to rally for their cause. They have voluntarily accepted the mandate of the court. Despite the Hammond’s statements, up to 300 people showed up in Burns on Saturday to show their support and protest what they say in an unjust penalty against the Hammonds. The Hammond men were convicted of arson on Federal lands and terrorism charges. They previously served the time they were originally sentenced, 3 months and one year. Federal prosecutors appealed that sentence and won a ruling that the punishment was too short according to Federal guidelines. This has caused an outcry of ‘Double Jeopardy’ among citizens around the country. 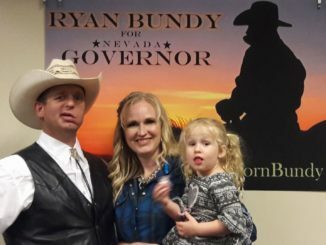 Ammon Bundy, son of Nevada rancher Cliven Bundy, is no stranger to going up against the BLM. Cliven Bundy refused to pay the Bureau of Land Management more than a million dollars in cattle grazing fees. This resulted in a standoff between Federal Law Enforcement and protesters, including Oath Keepers, militia and concerned citizens from around the country. It became known as the Battle of Bunkerville. Ammon Bundy spoke with the Hammond family in November. They stood strong on their public statement. Suggesting that the Hammond’s were not telling everyone that there was more to their capitulating to the Federal court rulings, Bundy began rallying patriot groups to make a stand on behalf of the family. Not gathering the support he felt was necessary, he continued to speak out on social media, via articles and you tube videos. He made a ‘Call-To-Action’ for people from around the country to rally to the defense of the Hammond Family in a peaceful parade and protest rally to be held in the City of Burns on January 2nd, and asked for hundreds of people to attend. Stewart Rhodes, Founder of Oath Keepers, issued a statement that said the Oath Keepers would respect the rights and wishes of the Hammond Family. As an organization, they would not take part in the rally. Individual Oath Keepers were welcome to attend, if they chose, but there was no official ‘Call-To-Action’ for this group. Several Three Percent (III%) militia groups signed on to join the protesters. Other militia groups and individuals were sounding the rally cry, as well. All in all, about 300 protesters arrived in Burns for the Saturday parade and rally at the Fairgrounds. The prospect of hundreds of out-of-towners who openly carry firearms concern some in Burns. 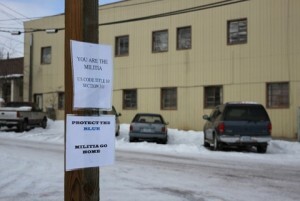 Fliers with the message “Militia go home” hang on signposts downtown. The event went well with flowers and pennies instead of violence. The group enjoyed solidarity with the Hammond family. Unbeknownst to the rally supporters, Ammon Bundy had been planning more than a peaceful rally in Burns. 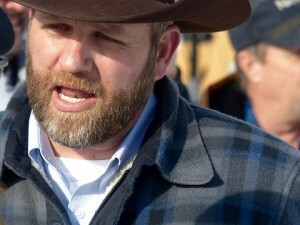 Taking it upon himself, he organized and planned an armed takeover of the Malheur National Wildlife refuge. Signs that this occupation was in the works for some time are many, including the reports of multiple trailers of supplies. The Constitution guarantees citizens certain rights. 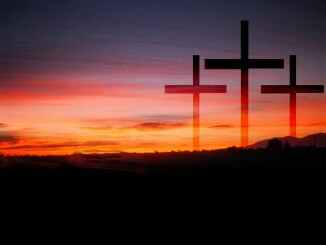 If those rights are being infringed, there are processes in place to address those issues. The Hammond’s have chosen a path they feel is best for their family. The Constitution gives them the right to make that choice. It may be that the Hammond’s have a good case for grievance. I, personally, believe that the they have been treated poorly by our government, but this is not the way to address those issues. This way is bound to get someone hurt. 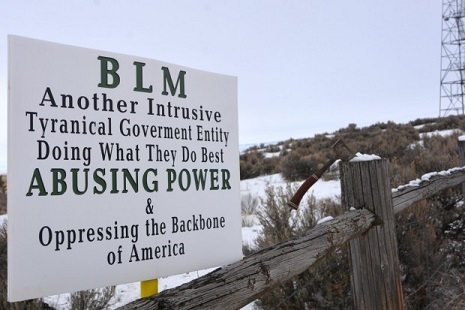 Bundy and his supporters have also declared that the BLM land grab is illegal. So is the seizing of this property. Whether or not the Hammonds have been treated unfairly does not justify their actions in the Refuge. Breaking the law in response to your perception of another broken law is unacceptable. When have two wrongs made a right? Now, they Bundy supporters have been put in a position where they must now battle the Oregon National Guard and Federal Law Enforcement. Somehow, I find it difficult to think of a good outcome. I am grateful that Stewart Rhodes had the strength of leadership to react the way he did. It is important to Defend the Constitution, even if it doesn’t meet your agenda to do so. Defending the Constitution means allowing the Hammonds the Right to decide how best to protect their family. The Constitution gives them that right. Start praying for the Occupiers in Burns. What is happening in Oregon is NOT domestic terrorism, but desperate people trying to maintain what is theirs in the face of unlawful government. The federal government has bought out all the ranchers and farmers that will sell. The federal government has scared off all the ranchers and farmers that will scare. Now they must resort to fascist tactics. The Hammonds refused to sell. They refused to scare. The federal government trumped up false charges of arson to put them in prison for refusing to give in to the feds theft of their land. The Hammonds were actually preserving their land through controlled burns. The feds don’t like controlled burns because it takes their control away. The feds charged the Hammonds with arson alleging they were burning to cover up poaching. Remember, we are talking about the Hammond’s land. The feds charged them with arson on their own land to cover up poaching on their own land. Now they are destitute. They have spent everything to legally defend what is rightly theirs and the federal government has used OUR money as deep pockets to destroy these people. Remember! These protestors in Oregon have not done anything that rises to the magnitude of Ferguson or Baltimore. Obama said he understood Ferguson and Baltimore but now the feds are crying domestic terrorism for a real peaceful demonstration? Seriously? Why are the feds upset? Perhaps because its something the feds think they own that is being seized. Its ok for thugs to destory private property in a riot but not ok for law abiding citizens to peacefully protest federal thuggary. That’s the government we have today, America. The people have grown tired of the BLM’s fascism and it is now the feds cry “terrorism.” And now the FBI wants to gag order private citizens. Not me! I WILL NOT BE SILENT. CHALLENGE: SHOW ME, anyone, where the Constitution authorizes the federal government to manage land?!? The federal government is illegally occupying State and private property. Now these ranchers and farmers have either lost or in threat of losing everything. When I say everything, I mean generations of everything. Since the federal government has no Constitutional authority to manage land, what lawful authority do they have to assert any warrants or demands over this property? The Constitution is the Supreme Law of the Land. Who is actually breaking the law here? what kind of America do you want to live in? Constitutional Republic or Totalitarian Oligarchy?